Certainly one of your recent best, Elizabeth. Elizabeth Croston Buckalew: Well, I don't know about that - I was just messing around. But I appreciate your appreciation! This worked well, Elizabeth. Never seen anything like it before...Or since. Elizabeth Croston Buckalew: I'm glad you think so, Frank. Ice storms are beautiful - once the danger is over! Elizabeth Croston Buckalew: Thank you so much, Sherri! Not my usual, that's for sure - but it was fun! And, dear lady, this a wonderful picture. Lots of drama and that single tree makes the picture. Elizabeth Croston Buckalew: I think I'd have liked to have known him... did you see the animated movie "Loving Vincent" ? Wonderful! Thank you, Astrid - I'm so glad you like it, I'm still not sure, I think it's such a departure from my norm! Oh - please be careful! We've gotten about 3 inches of snow in the past 3 hours - should continue through the night. Winter wonderland! Our skiers and snowboarders will be excited! Elizabeth Croston Buckalew: Thank you so much, Martine! Winter can be so lovely! The minimalism here totally makes this for me, Elizabeth. BRAVA. Elizabeth Croston Buckalew: Thank you so much, Ginnie! Something a little different - I was trying to make a boring photo of a striking scene less than ordinary! Looking very much as it is here today..
Elizabeth Croston Buckalew: Ooooh! It started snowing here last night, continued for about 12 hours building up a good 6 inches. Then that ol' Arizona sun came back out, and it's all nearly melted! This is a wonderful image with the lonely tree! Elizabeth Croston Buckalew: Thanks very much, Philine! Elizabeth Croston Buckalew: I certainly consider it so... Thank you, Lisl! Elizabeth Croston Buckalew: Thank you very much, Claudine!! I though I recognised the tree! Haha!! This was a bit like the visibility I had in yesterday's snow flurry. Elizabeth Croston Buckalew: You may have! We got about 6" of snow in 12 hours overnight... but the Arizona sun came out and melted it nearly away through the day! That looks a bit frightening Elizabeth. Elizabeth Croston Buckalew: It was quite eerie - there'd been an ice storm... it was kind of crazy! Exssssselent. I will add it to my likeys. Elizabeth Croston Buckalew: Oh thank you so much, Louis! Much appreciated! Not weather for the faint hearted. Elizabeth Croston Buckalew: No sir. But we were traveling after the ice storm, fortunately - not during it! Another one for that special folder I keep mentioning, it seems to me your 'seeing eye' for photos is improving greatly since that certain special person returned home. Elizabeth Croston Buckalew: Thanks so much, Brian! Your encouragement is appreciated! You've done a fine job just messing around. 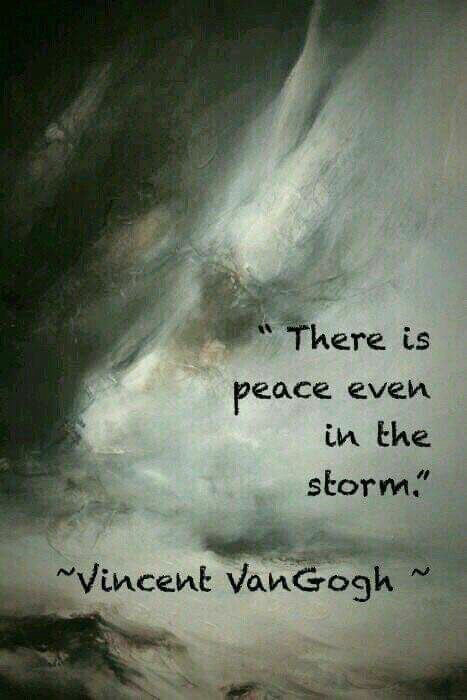 Storm days are peaceful in a way. You can't go anywhere so just hunker down, which is somehow peaceful. Elizabeth Croston Buckalew: Thank you, Mary! It was kind of fun! Yes - I do love a good storm... rain, ice, snow... as long as I don't have to be out in it! We got about 6" of snow in 12 hours overnight. But through today that ol' Arizona sun has nearly melted it all! A great picture, I love your treatment, it has created such an atmospheric effect. Elizabeth Croston Buckalew: Thank you, Anne! We were traveling the morning after an ice storm - and it was really hard to capture - so I thought I'd have a little fun in post processing! Elizabeth Croston Buckalew: Thank you, very much, Bill! Elizabeth Croston Buckalew: Ooooh - good one, Claudio! Elizabeth Croston Buckalew: Thank you, Graeme! Not something I do very often, but the scene was a bit boring without a little something. Elizabeth Croston Buckalew: Thank you so much, Larry!